The murder of 4 American soldiers by an Afghan soldier in Balakh of Maza-e-Sharif province of Afghanistan was a big attack since US President Trump’s order of deploying more soldier in Afghanistan. The base commander and US Command in Afghanistan have attempted to minimize the impact of this news report on Americans by declining such attack or killing of US Soldiers. Afghan American Military Media cell acknowledges the incident of firing at the base and injuring of US soldiers but denies their death. Two weeks ago during a joint US-Afghan operation against ISIS in the Kunar province of Afghanistan, an Afghan soldier killed 4 American soldiers injuring 1. 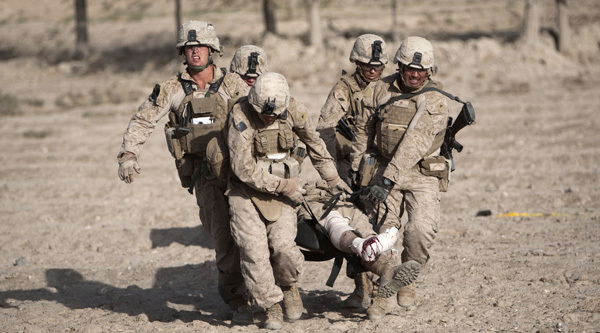 The Afghan soldier was killed by other American soldiers on the spot. Similarly, the Afghan soldier who opened fire on American soldiers was preferred to be killed rather arresting him alive. So the murder of 8 US soldiers in a week is a point to be considered by those US Commanders who have been demanding deployment of more US troops. Few of them were of the view that the policy of withdrawal of US soldiers was a wrong decision by Obama administration. This policy should be canceled and 50,000 troops should be sent to Afghanistan while others consider that only 5000 US soldiers are enough for the restoration of peace in Afghanistan. 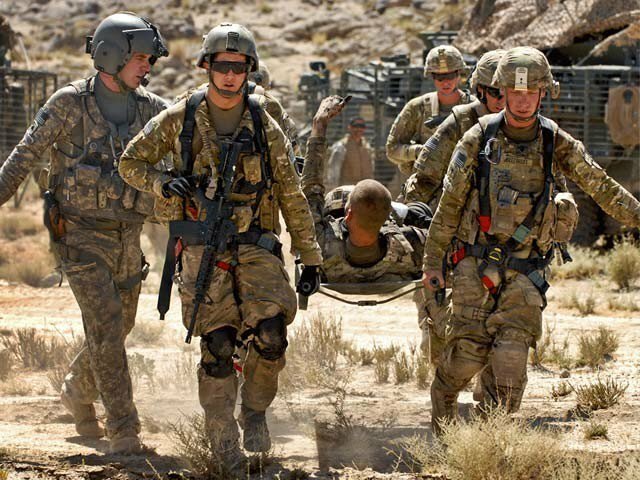 American defense analysts who claim that presence of US soldiers in Afghanistan is inevitable are of the view that from 2001 to 2013 more than 160,000 US troops along with 30000 NATO troops have failed to strengthen Afghan govt. in the long and short of Afghanistan while they were facing only Taliban. Now when ISIS has established the strong foothold in Afghanistan, what can few thousand Afghan soldiers do? On June 11, 2017, three U.S. soldiers were killed and one more wounded in a similar insider attack by Afghan Army at a base in eastern Afghanistan's Nangarhar province. In this regard, the policy makers of USA should consider the survey conducted by BBC news in favor of Afghanistan. According to the survey till 2005 85% of the Afghan public was not the only supporter of American stay in Afghanistan but also considered them as their savior. Not only America but from the whole world dollars were coming in. All big cities of Afghanistan were filled with foreign products. Afghans have chances of getting hired on higher wages. Kabul seemed to be a capital of some western country. The fight with Taliban was going on away from the cities. 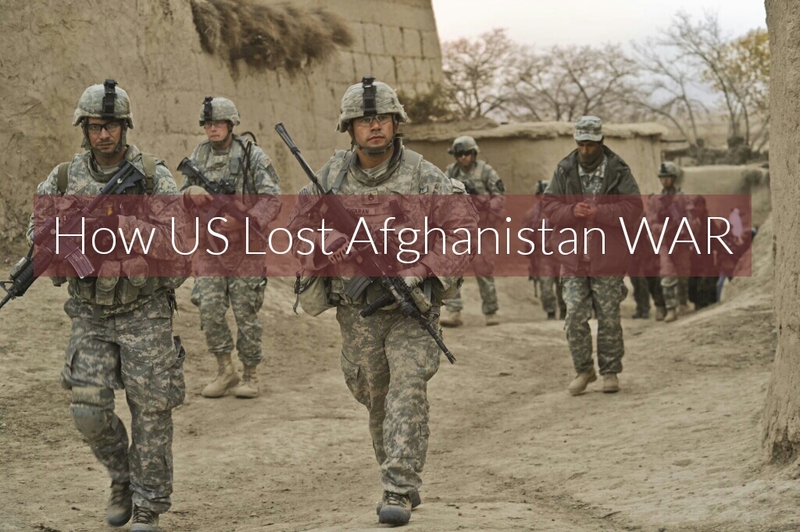 But only in 4 years, in 2009 the Afghan public support for US soldiers decreased to 40%. The profits of American dollars were limited to selected Afghans only. These were those elements who were the part of Afghan govt. to the USA or those who were trading and providing services to Americans and other foreigners. With the start of 2017, the Afghan support for Afghan soldiers decreased to 15%. These are those Afghans who are employed by Americans or have financial interests with USA and US army. With such unpopularity when the USA will deploy further troops than the result would be the murder of Americans not in the hands of Taliban but Afghan soldiers. Because leaving aside the rest of the Afghanistan in Kabul 60% Afghan citizens do not have availability of pure drinking water. The facilities of life are limited to only selected and important areas where there are paved roads, modern education system, wider bazaars, and malls etc. Good health facilities are also available in these areas only. The rest of the city is in the same state as it was before the US invasion in 2001. The buildings destroyed in war are still un-repaired showing the reality of trillions of dollar aid to Afghanistan by America. Trump to Send 4,000 More US Troops to Afghanistan as Mattis admits 'Not Winning'. Why the US and her allies are rapidly losing in Afghanistan and Taliban influence is increasing rapidly. Why the US who invaded along with all of her might as a savior of Afghanistan is so much powerless that it has to look towards Taliban in spite of Northern Alliance to face ISIS. Those Taliban against whom the USA supported Northern Alliance to establish the puppet govt. 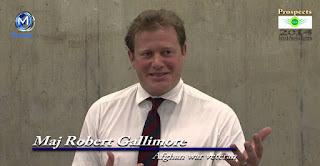 The answer to this question has been given by retired Britain Major Robert Gallimore in a seminar in which he has claimed with arguments and evidence that India is behind the deteriorating situation in Afghanistan. India is exploiting Afghanistan as second battle front and launch pad of terrorists. In order to hide here terrorist activities and support her presence in Afghanistan, India has invested big amount funding lawlessness and terrorism in Afghanistan. This funding includes buying loyalties of Afghan officials, taking control of Afghan secret agency and funding international media for propaganda against Pakistan. In this way, India has been blaming Pakistan for every act of terrorism in Afghanistan by the Afghan govt., higher officers of NDS and pro-Indian Western Media. ISI and Pak army was blamed for providing safe heavens to Haqqani Network and other elements involved in terrorism in Pakistan. Afghanistan where Taliban are emerging stronger than they were since 2001 while ISIS is also filling the security vacuum. As long as India is present in the Afghanistan and influence in Kabul, the peace in Afghanistan will remain a dream. Because many retired and on-duty Generals of the USA deployed in Afghanistan have their interests with India as well. The most important of these interests is the use of India as a proxy war against China in a future war and sale of weapons to India. Major Robert Gallimore who has spent three tenures of his service in Afghanistan is not the first foreigner blaming India for failures of US and NATO in Afghanistan. Before this US Secretary of Defense, Chuck Hegel termed India as causing problems in Afghanistan by exploiting Afghanistan for the proxy war against Pakistan in 2011 at Oklahoma. 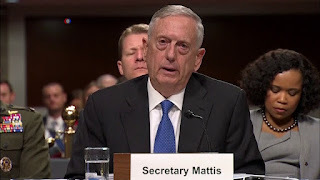 Other US defense analysts are also unified on this point that peace in Afghanistan is impossible until the Indian control over Kabul, and new Delhi’s role and interference in Afghanistan are not limited or curtailed at all. Because India is the biggest hurdle in the peace process between Afghan govt. and Taliban. Terrorism in Afghanistan is the need of the India. It is impossible without the withdrawal of foreign soldiers. Americans should think over it again that a war that they could not win in 16 years how will they win it by deploying few thousand extra troops?? ?